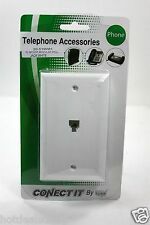 TSA - University Sound - Telephone Station Access Paging Adapter DESCRIP TION New Item, Used as floor demo model. Item may have scratches. FEATURES 277178 OUR PHILOSOPHY What you need to know about The Technician's Toolbox: Your order will be processed and shipped out via UPS or USPS the day of, or the day after you place it. It will usually take 3 business days for your order to arrive, but it could take up to 5 business days in some cases. Once your item has been processed, you will be forwarded a tracking number in an email. If you need expedited shipping, please let us know! We'd be happy to help speed up the process, however you will be charged the difference between free and overnight shipping. Our business uses Endicia, it is incredibly efficient. We hope you enjoy your product!